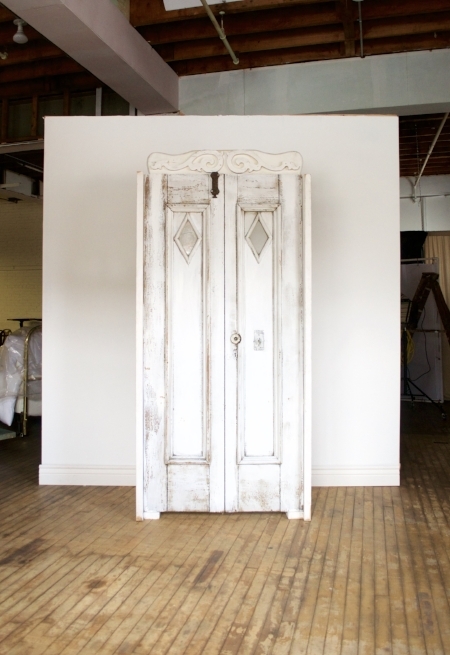 Our Double Door Entry is created out of two antique doors with diamond shaped windowpanes. It makes a beautiful backdrop for a ceremony site or a display table. It has the option of adding green shutters to either side to expand it to almost 7 feet wide.